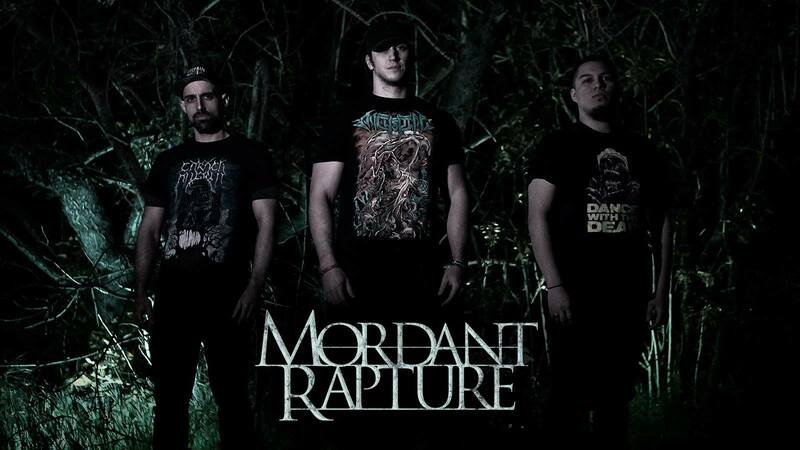 Everything Is Noise is extremely honored to premiere a new video playthrough , from synth/tech-death metal wizards Mordant Rapture. “Unsightly Beast” is the opening track from the band’s highly successful debut EP, The Abnegation, which was released last summer via The Artisan Era. It is the well-executed sum of half a decade of hard labor. And boy, it shows. There’s nothing like a good playthrough to showcase a band’s talent. On top of Ben Wilkinson and Kent Congdons’ blistering guitar skills, we also get to absorb just how tight Rodrigo Rodríguez’s vocals are. The band as a whole exercise a superb level of stamina, and “Unsightly Beast” is crafted in such a way that listeners are also able to soak in that intensive level of energy. Fans of this video are encouraged to make haste and check out The Abnegation in full. “Unsightly Beast” is the mere tip of Mordant Rapture‘s explosive tech-death arsenal. As is the great tradition with The Artisan Era releases, the EP is masterfully produced, plus raw as hell. Don’t miss out! Previous PostDownfall Of Gaia Announce New Album, "Ethic Of Radical Finitude"